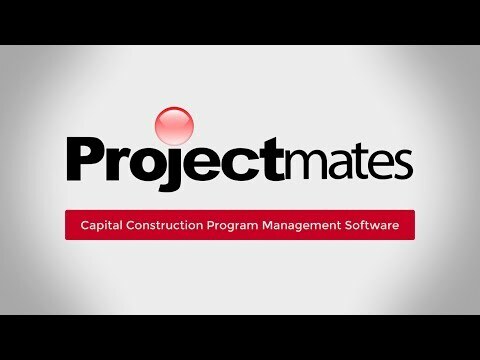 Richardson, TX — March 23, 2016 — Systemates, Inc. is excited to announce Core States Group (CSG) as one of the latest enterprise clients of Projectmates construction program management software. CSG is widely known for its vast portfolio of integrated services & turnkey support, featuring solutions for engineering, architecture, program management, construction, and development needs. The company will leverage Projectmates to standardize its project management workflow and manage huge multi-site construction programs. CSG has offices and clientele spread throughout the United States and is typically involved in well over a thousand projects annually. The company found that there was a lack of standardization in its project management due to the sheer volume of projects it was responsible for with project teams spread across the country. This resulted in a lack of communication and real-time project information. Additionally, CSG operated under a previous system that relied on a web of excel sheets stored on a FTP site alongside other pertinent documents. This proved to be cumbersome, difficult to moderate, and was detrimental to providing transparency to its clients. With its new construction program management software, CSG has begun to address all of these issues with gusto. Backed by Projectmates' dedicated implementation team, the company has begun adopting the software at a rapid pace, with plans to incorporate hundreds of additional users in the near future. "I called Projectmates three times between yesterday and today for help," wrote Rob Scheffey, Business Analyst for CSG. "I spoke to three different reps and we got excellent help each time." For a company of Core States Groups' scale, it was imperative that their teams received the most attentive support possible during its initial stages of Projectmates adoption. Whether it's document management, cost tracking, bidding, or scheduling, CSG has been quick to adopt all of Projectmates' tools for their program management. Now onsite work across countless sites can be easily managed and tracked on the Projectmates cloud. CSG is using Projectmates as a collaborative platform for internal team members, clients, as well as external parties such as contractors. By configuring user access rights based on these roles, all parties involved in Projectmates are able to login and access their own unique view tailored to their needs. CSG is leveraging this feature to allow the numerous players within a construction program to simultaneously access and communicate across Projectmates with zero issues and maximum security. Clients, for example, are given incredible oversight of their commissioned projects courtesy of the robust reporting tools. Core States Group (CSG) is an Integrated Services provider that began with the initial goal of providing engineering and project management services to the retail petroleum industry. Today, the company provides a wide variety of clients with fully integrated services & turnkey support, featuring solutions for engineering, architecture, program management, construction, and development needs. CSG works with a plethora of Fortune 500 companies such as McDonalds, CVS, and Wal-Mart. The group continually exceeds these clients' expectations by delivering its services with four core values in mind; projects must always be accomplished with integrity, unity, excellence, and urgency. I called Projectmates three times between yesterday and today for help. I spoke to three different reps and we got excellent help each time."